This is the spawn of the Pokebliss server! Survival- Build and design masterpieces! KeepInventory is enabled. Wondertrade- Try your luck with wondertrade! GTS - Buy and sell pokemon using /gts! Crate Keys - Voting crates, Item crates, Shiny crates and Legendary crates! FREE Ranks- Claim your free rank on our website! Pokeheal/PC - /pokeheal and /pc for everyone after you claim your FREE rank! PokeParticles- Add particles to your favorite pokemon! this is honestly an amazing server with a great community I enjoyed it a lot keep it up! This server is honestly one of the best pixelmon servers I've been on. The only downside is the occassional lag spike but that's expected. Thanks for creating an awesome server! Server is great i love everything but the lack of natural gyms. First of all wonder trade is awesome, i got a 68% ditto! I love not worrying about healing Pokemon whenever i want, and i never have to worry about eating cause i never get hungry, that's awesome guys! I can just relax and go on the hunt for pokemon and when i get a good one i can go right to the moverelearner! There are a good amount of poke bosses running around! Glad to have a map border of about 9999x9999. Overall I love this server and the people here are great, thanks everyone! 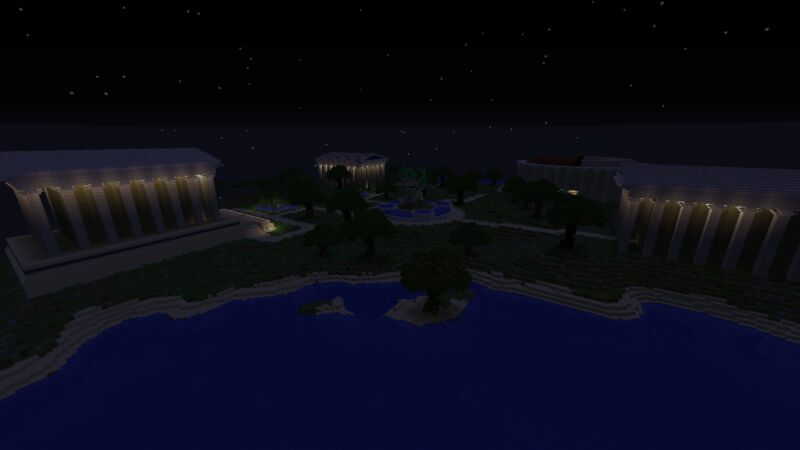 Review: I'm actually have played on this server when it was still pretty new. playing on this server again bring me back some good memory. i really did miss playing this server but I stop because some i wanted to do other games then just play minecraft. I do believe this is the best pixelmon server i ever played and still hold it well. people are friendly on here as well as the staff and the owner. this is my whole experience since the day it was new and such. This server is great like that you can vote 8 times,you can make new friends,and you can get most of the help u want from the players from the staff.I dont dislike anything about this server i think it is absolutely amazing. I love this server so far, the only thing I would change is the blocks shop. You guys should add more materials such as various types of Wood. Being a builder myself, I spend a lot of time gathering my resources which is fine but Since you guys have the blocks shop, it would shorten my gathering time so I can spend more time doing what I enjoy, building! This server has been a fun experience to play on. Having /pokeheal really adds to the fun. Since it is new there currently aren't gyms but that leaves room where the staff can make it their own. Overall would recommend this server! So i have just started on this server but so far im having a great experience the lag on this server is small but still present as for the staff i havent had the time to enjoy a conversation with them the only thing i would like is if it would be possible to obtain more claim blocks faster. I really enjoy playing on the Nebura server. The server itself is wonderful, containing very useful and enjoyable features. Though, the reason that I chose to stay on this server is because of the staff and community. Everyone is very kind and they are always willing to help, which makes the server better than any other I've been on so far. Overall i think everything is great but i feel as if the legend spawn rates are really low because i haven't seen one in days after constant playing. While this is my first server for pixelmon, it has been a blast so far. Plenty of regulars to chat up with, events too. The in-game shops are nicely priced, but you can still make some things on your own too. Looking forward to the gyms and always fun to see the changes as they progress. 9/10! This server is actually one of the best Pixelmon servers I've played in a while. The server itself has amazing staff that are always willing to help people. Then there's the server itself, with an amazing survival world, and amazing plugins like GTS and crates. This is one of the more servers deserving more good players. If your looking for a good Pixelmon server to play on, I highly recommend this server for anyone that likes it. Very great server. The staff is very helpful and the owner is very nice. I really enjoy smaller servers and this server is small but not dead so i would recommend this to anyone looking for a server that several people are on but not too many to the point were it is chaos. 9.5/10 stars if i were to rate this in stars. Nebura is an amazing server. It's nothing like any other server out there. It contains amazing staff who are there to help you in any situation. The server gives you an amazing play experience, along with a friendly and welcoming community. Along with these great qualities, Nebura also gives you some things that some other servers don't. Everyone gets free /pheal(pokeheal) /ivs and /evs. Once you've played a certain amount of time, you get a FREE rankup to +. With + you unlock /pc along with other great things! Try out this fantastic server! The server is great with its mechanics and has amazing staff, mechanics, and all-in-all activity. This server is amazing and i give it a 10/10 would join again. Everyone should join the server and help its community grow. Very laid back and relax with a great community and staff. If you want a relaxed pixelmon experience with some competitive battling on the side, this server will be great for you. Awesome server, awesome community, awesome staff, awesome features, awesome everything! A nice server with a nice community!